This entry was posted in Uncategorized and tagged Andrew Parish, Father James LeBlanc, Fr. 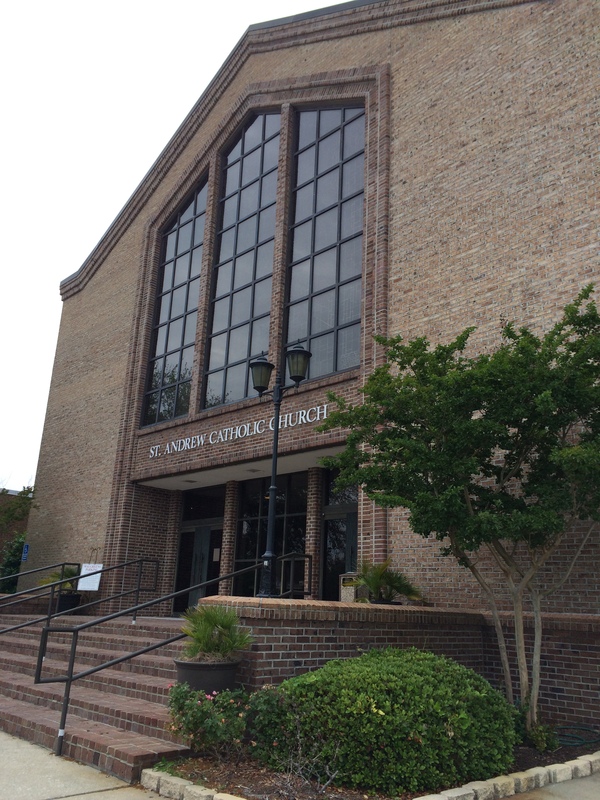 LeBlanc, St, St. Andrew Parish Myrtle Beach by brent. Bookmark the permalink. Loved reading all your verbiage on Fr. Leblanc. He is a great, great man. I credit him completely for getting me back into the fold. Blessings to you and your beautiful bride! Hi Kristin – Thanks so much for reading and for commenting. Do you attend St. Andrew? Yes, we’ve been parishioners for abut 11 years. I felt Fr. Jim was the epitome of the perfect Father Figure. Solid, serious (yet I found myself giggling to myself many times during some of his homilies), Extremely Wise, and extraordinarily compassionate. He was perfect. Fr. Morgan is great, but I wish I wasn’t older than him, lol. That is awesome! I hope to meet you one of these days.